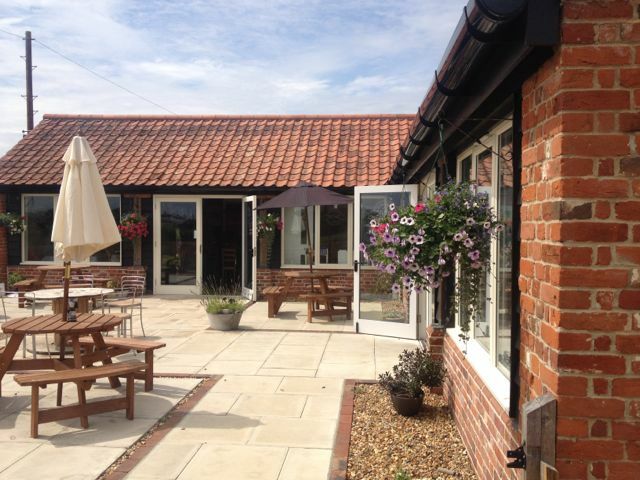 Whilst visiting the South Norfolk area, a friend mentioned a nice little place that was worth popping to for a light lunch or an afternoon cream tea near Bungay. 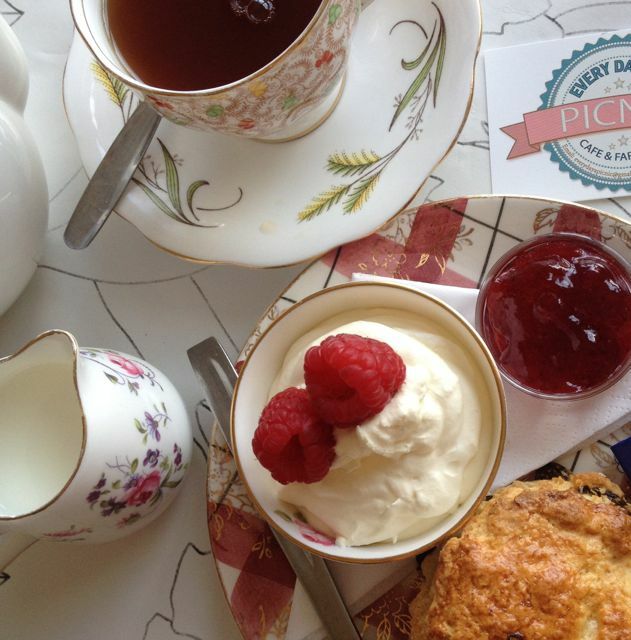 This is the sort of place you could bring the kids to at the weekend for an ice cream sundae, or with your friend for a catchup over a deliciously homemade cream tea in the sunshine. 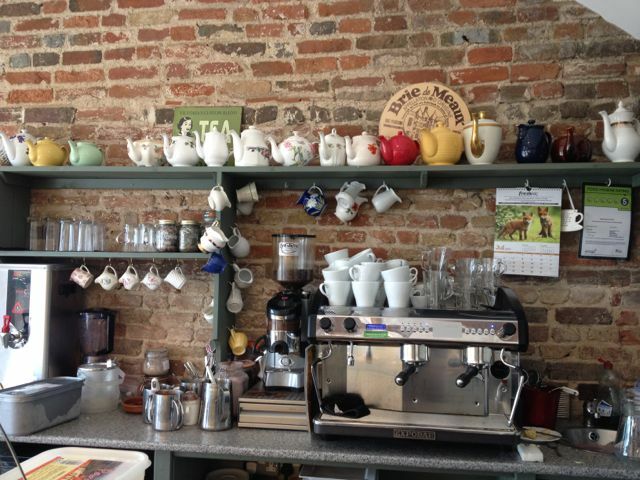 “Every Day’s A Picnic” is on the Norwich Road between Hedenham and Ditchingham on route to Bungay, serving as a picnic-themed cafe & farm shop with a little Aladdin’s cave of vintage crockery, handmade jewellery, clothes, bags and trinkets. 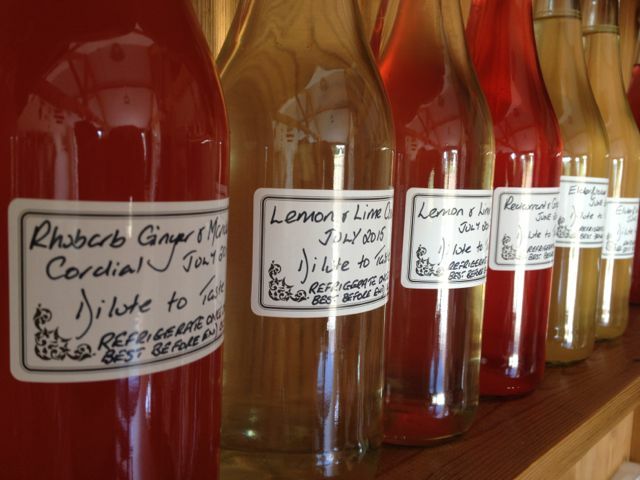 They also sell locally produce such as Friends Farm Sausages and cordials from “Jo’s Cordials” including flavours such as lemon & lime, elderflower or redcurrant & grapefruit to name but a few. Whilst visiting this cute country cafe , I ordered a cream tea with a fruit scone, strawberry jam, cream and English Breakfast tea. 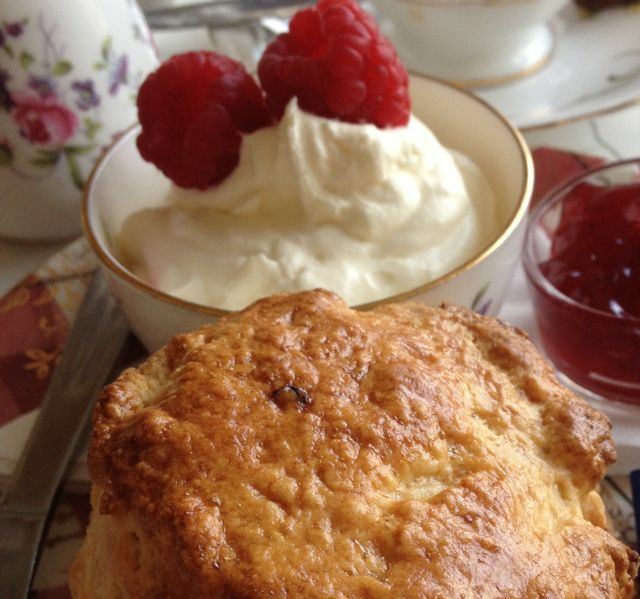 The scone was served cold, which was a slight shame, nor was I offered it to be warmed, however it was light, fluffy and had a gorgeous buttery flavour so I’ll let them off, it was a perfect scone. It also passed the taste test – some scones make your tongue go fuzzy, but not this beauty, it passed this test with flying colours. There was plenty of strawberry jam and a huge bowl of whipped cream with a pleasant surprise in a fresh raspberry garnish to add some freshness to my plate. A traditional cream tea would have the option of clotted cream, so this was slightly disappointing, but I’ll say the taste of the scone is still ringing true in my ear, so I won’t hold this afternoon tea faux pas against them. 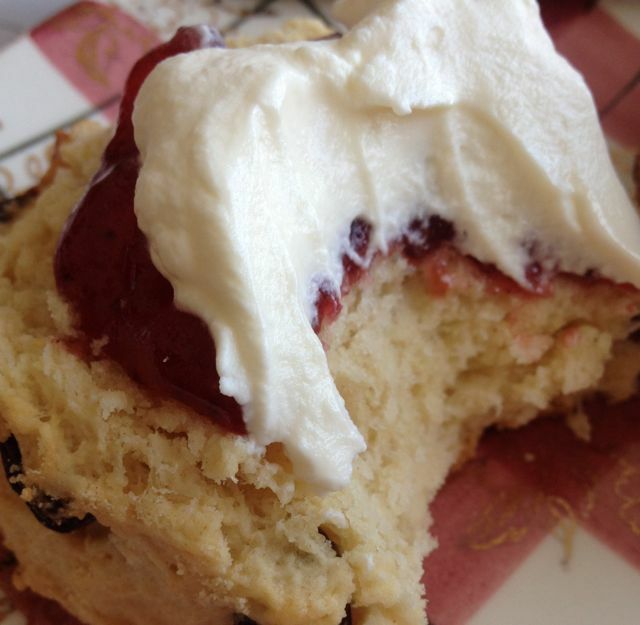 Once I had been served, my cream tea arrived at my chosen table very quickly, however, I say once I’d been served…. I stood around for a fair while, having walked past three different members if staff, with not a welcome or a smile from any one of them. I sat at my chosen table in an adjacent room to the main cafe, overlooking the pretty sun-filled garden for quite some time. Because I wasn’t served, I popped into the main cafe to find somebody. There must have been four tables filled with people, so it was fairly busy, with two members of staff behind the main counter. I stood at the counter for approximately three minutes, the young lad must have clocked me as he had walked past me back and forth, but didn’t once acknowledge me…. and it started to make me feel a little annoyed – the girl behind the counter even had a little nibble on some ice cream before she turned to me to serve, with no apology for the wait, it felt slightly odd. A quick nod is all that’s needed from a service perspective, something they might need to look at in my experience (I’ll be sure to let them know of course!). There are signs stating there is table service, however, it didn’t quite work for them on this day which is a real shame for the venue. 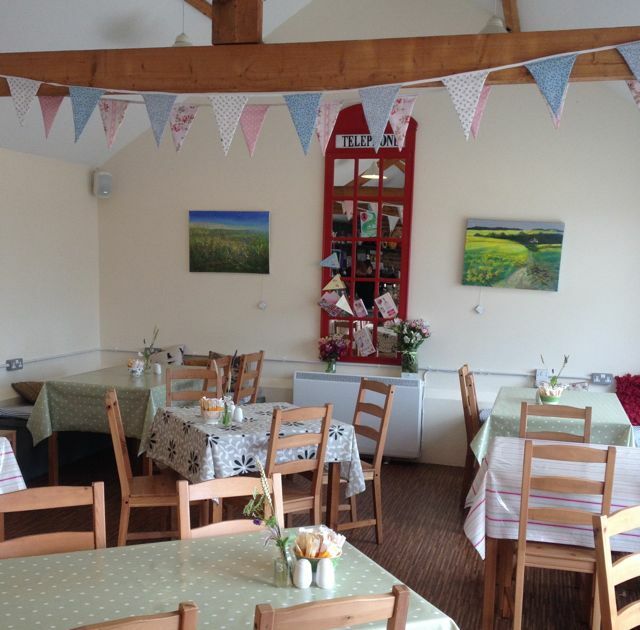 I would, however, say that this is a lovely little tea stop, perfect for couples, small groups or families looking for a delicious wedge of homemade cake or a cream tea and their savouries looked more than tempting. There was a chilled cabinet filled with quiches, scotch eggs, sausage rolls, roasted vegetables, salads and pastas, so I’ll be heading back here soon enough for a taste if their lunch menu for sure. With plenty of natural light flooding my table, chilled out background music that helped me to blog, a good strong cuppa served in fine bone china and a good wifi connection to enable me to get some much needed work done, this was the perfect hideout spot for an hour or so whilst on the road. There are locally sourced food products on sale, including free range eggs, fresh fruit & veg and even plants outside in the courtyard to take home, it’s a fab place to grab a gift on the road. 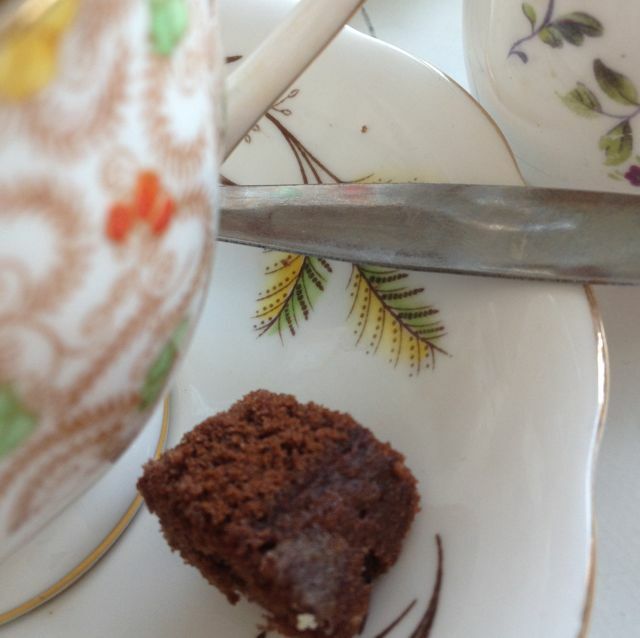 An added extra to my cup of tea, of which I wasn’t expecting was a tiny piece of home baked gingerbread on my saucer, a really cute touch. My cream tea came to a modest £3.50 and worth every one of those pennies, it’s good value for money, they just need to check their service staff have some understanding of how to greet waiting customers in my honest opinion. Regardless of this, in the words of The Terminator, I’ll be back. They are open 7 days a week for breakfast, lunch and sweet treats – Monday to Saturday 9am – 5pm and on Sundays 10am -4pm. Please note – I paid my way with this venue. I am in no means obliged to blog or write about their offerings, but I simply choose to share with my readers, should I enjoy the experience. The service team that work on the day or duration of my visit are not aware of my reasons for visiting, to enable a fair review.